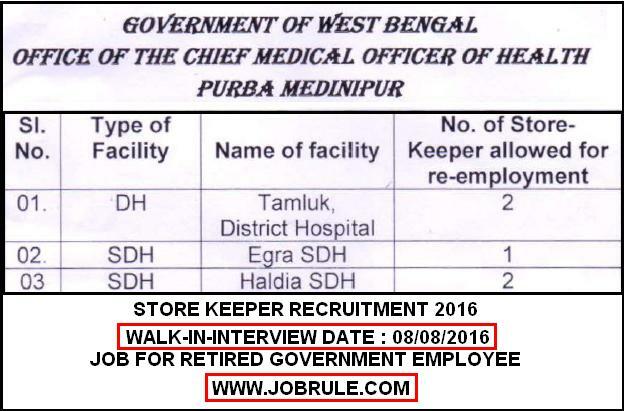 Office of the Chief Medical Officer of Health (CMOH), Purba Medinipur ,West Bengal going to conduct a Walk-In-Interview to recruits 05 Contractual basis “Store Keeper” in different hospitals (Tamluk District Hospital, Egra SDH & Haldia SDH” on consolidated Rs.10000 per month . (Job Notification No-CMOH/Pr.Mid/2541 Dated-22/07/2016). Latest Contract basis Job Advertisement in Midnapur District July/August 2016. 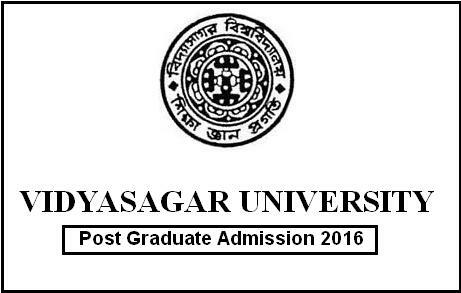 Vidyasagar University ,Paschim Medinipur ,West Bengal M.Phil, Post Graduate-PG and Other Courses Online Admission for 2016-2017 academic Session. Vidyasagar PG Merit List 2016 ,Revised Important date sheet, current notification, classes commencing date and other details given below. Ramnagar College ,near Digha, one of the best degree college in Purba Medinipur district, affiliated to Vidyasagar University , 1st Year Under Graduate Honours/General courses Online Admission 2016-2017. To check Ramnagar College Provisional/ inal Merit List, B.A/B.sc/ B.Com Admission counseling details and many more, simply go through below given direct link. Tamralipta Mahavidyalaya (popularly known as Tamluk College), one of the best Degree College in Purba Medinipur district, affiliated to Vidyasagar University, published 1st Year Under Graduate B.A/B.Sc Honours/General Courses Online Admission 2016-2017 Provisional Merit List on 4th June 2016. To check Tamralipta College Merit List 2016, Tamluk College Admission Counseling Schedule and other details ,simply go through below given direct link.